In the creation of any new society, there are winners and losers. So it was with Australia as it grew from a colonial outpost to an affluent society. 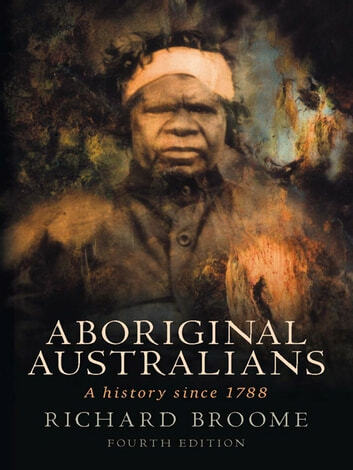 Richard Broome tells the history of Australia from the standpoint of the original Australians: those who lost most in the early colonial struggle for power. Surveying two centuries of Aboriginal-European encounters, he shows how white settlers steadily supplanted the original inhabitants, from the shining coasts to inland deserts, by sheer force of numbers, disease, technology and violence. He also tells the story of Aboriginal survival through resistance and accommodation, and traces the continuing Aboriginal struggle to move from the margins of a settler society to a more central place in modern. Since its first edition in 1982, Broome's Aboriginal Australians has won acclaim as a classic account of race relations in Australia. This fully rewritten fourth edition continues the story, covering the uneven implementation of native title, the plight of remote Aboriginal communities, the 'Intervention' and the landmark apology to the 'stolen generations' by Federal Parliament.